As is common among some hackers, [Henry] re-purposed an ATX power supply unit to function as a bench power supply for testing circuits on a breadboard (much like this fancy example). However, safety mechanisms on some modern PC PSUs do not automatically reset after over-current protection has kicked in, which soon became annoying for [Henry]. 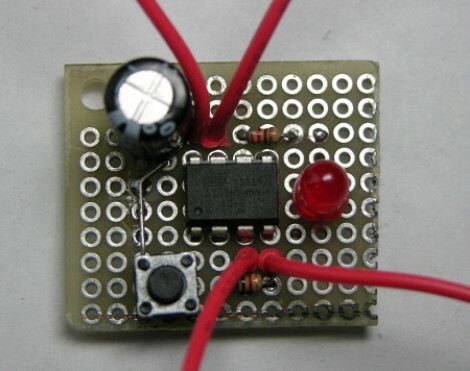 In order to make his power supply more hacker-friendly, he wired up and programmed an ATtiny85V, using some Arduino libraries, to do that for him. This simple project is a great example of using a hack to improve a pre-existing hack. NXP holds a lot of market share for their ARM based solutions as it is. That’s why we were a little surprised when we found a link on their website announcing that they were giving away free LPCXpresso development boards, based on their Cortex-M0 line. While killing your Arduino may not sound like the most fun, some qualified readers may be interested in moving up to 32-bits for a price that is hard to beat. A common complaints of beginners to microcontroller programming is the availability of DIY tools that do not require a parallel port. Using not much more than a couple of 74xx series chips and some protoboard, [Rue] was able to create an AVR programmer for less than the cost of some chips it can program – giving parallel programmers a run for thier money. 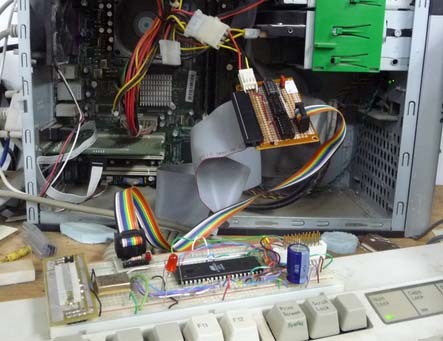 [Rue] used Linux treat the ubiquitous PATA/IDE port as a parallel port. By having avrdude treat the programmer as an Atmel STK200, [Rue] was able to upload a blinky program to his AVR microcontroller through ISP. If anybody can think of an even lower cost unconventional solution give us a shout. The help of fellow members of the Austrian technology collective/hackerspace [Otelo] allowed [Georg] to develop a networked audio streaming board, with less than $20 worth of components. Dubbed the OggStreamer for obvious reason, it’s designed to relay audio from a mixing board to an Icecast server (an open source implementation of SHOUTcast) in real-time. 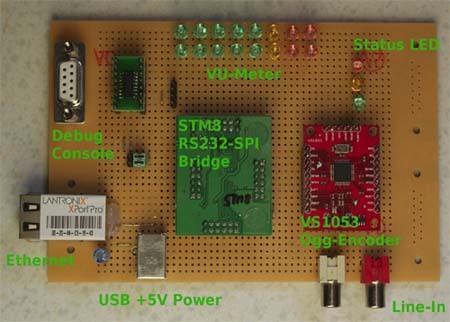 The board is based on the STM8 Discovery kit and the Xport Pro. It features stereo input, an onboard OGG Vorbis encoder, and (to top it off) is running uClinux. We think it’s very well thought out – but don’t take our word for it… the OggStreamer won second place last year in the Lantronix XPort Pro Design Contest, and [Georg] has documented it extensively (pdf). With the recently proposed cuts to NASA, our friends across the pond (in Northampton UK) decided to take action with a space program of their own… at least at a miniature scale. 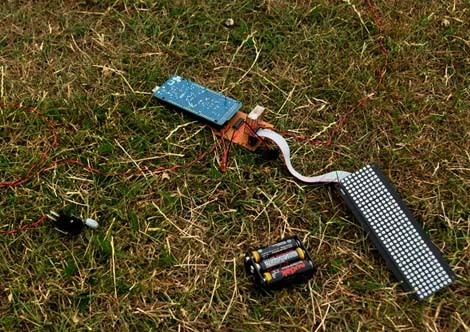 NortHACKton, a hackerspace in Northampton decided to host a rocketry day consisting of rockets powered by chemical reactions, pressurized water bottles, and even one that employed an Arduino controlled launch system, akin to a few we have seen in the past. It essentially consists of a countdown and automated ignition system. Schematics and source code are available for those adventurous enough to embark on missions of their own.